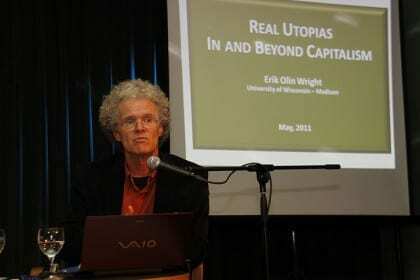 Erik Olin Wright is a Professor in the prestigious Department of Sociology at the University of Wisconsin, Madison — and a staunch advocate of a universal basic income. The broadcast can be heard in its entirety here. A partial transcript is available here.